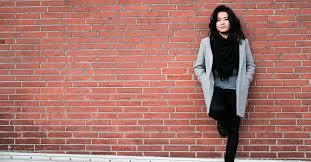 The annual 20,000-Euro dollop from the Schleswig Holstein Music Festival is to be dished this year to Aigerim Seilova, a 31 year-old composer from Kazakhstan. Does anyone play Hindemith much any more? I love this piece, and I think the jury’s description is right on. I will search for more music by her. It’s nice to hear the kids compose in the old style from time to time. Congratulations! Interestingly, Hindemith seems to be totally ‘out’. When you open a music history book, or a tome about 20C music, from the fifties or sixties, you see much space dedicated to Stravinsky, Bartok and Hindemith as being supremely important composers. But recent editions show that Hindemith has shrunk to a short mention and much space has been taken by someone like Messiaen. That is what the Zeitgeist does. This ‘winning’ piece is, by the way, truly awful and primitive, it is sound art with little bits borrowed from the field of music but without musical meaning, or even coherence. In the beginning there are some nice-sounding chords, which promise something interesting about to begin, but soon it degenerates into meaningless burbs and pointless doings by the ‘soloist’ for whom there does not appear to be any reason at all. William Byrd Singers in Manchester will be singing Hindemith in March! I don’t know the works of this woman and I am sure she is very good, but it is interesting that so many winners of competitions in the last two yers are women. Music is suffering from positive action. PLEASE, give major /give first prices/sign new talent, to the best, to themost talented and deserving and stop looking for who looks better as a winner because it is fashionable. As a woman who has won two second places at major competitions (one solo and one chamber) and now plays in a major european orchestra I find insulting the promotion that is being done now of women by competitions an agencies.